A football player’s development is often a slow and tedious process. It takes a great deal of patience to watch players learn on the job as they rough their way in the hustle and bustle of top level professional football. However, it can be most exciting when a player is just on the verge of breaking into the first team and has already been giving the well established players a run for their money. The start of 2015 has coincided with many players seeing themselves on the verge of a breakthrough and it promises to be a good year for the enthusiasts who enjoy watching the youngsters break the status quo. Here's a look at some of the players who are most likely to make a big impact in the year ahead. 2015 has already proved to be a good year for him, with him having played a crucial role in all the games so far. It was expected that he would be let go at the end of the season, when his contract expires, but performances in the last few weeks look to have convinced Wenger otherwise as there are reports of a new contract being readied. Coquelin was sent on loan to Charlton Athletic in the first week of November in an attempt to get him some game time as he wasn't likely to get any at Arsenal after his previous loan spells, which were quite underwhelming. A month later, injuries to key players saw him called back and he hasn't looked back since. He has already displaced Mathieu Flamini in the pecking order after impressive performances against Hull, Stoke and Manchester City. His attitude and temperament on the pitch have been exceptional and if he continues displaying such great form, this could finally be the year he makes a name for himself at Arsenal. The Scottish sensation, only 19 years old, has drawn many flattering comparisons to the likes of Messi and Ronaldo. He himself has been resounding in his denial of such comparisons, but with the kind of talent he possesses, it isn’t very surprising that such high praise is coming his way. 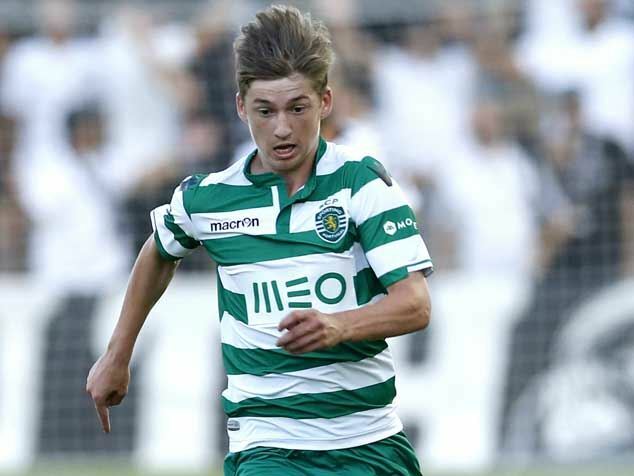 Gauld was bought by Sporting CP in the summer of 2014 after impressing at Dundee United. Their faith in his abilities was such that Sporting immediately slapped a release clause of 60 million euros on his contract after acquiring his services. Despite originally being signed for the reserve team, he was registered in the Champions League squad after impressing Marco Silva in pre-season. The reserve teams couldn't handle him for long and he earned his first start for Sporting on 29 December 2014. An impressive performance against Vitoria earned him another start in January, against Boavista, which saw him adjudged man of the match. His star is rapidly rising and with the kind of improvement he is showing with every passing month, he is sure to have a bigger impact on Sporting before the end of the year. Having moved to Arsenal at the age of 15, the La Masia graduate is finally realizing his incredible potential which attracted Arsenal to him in the first place. 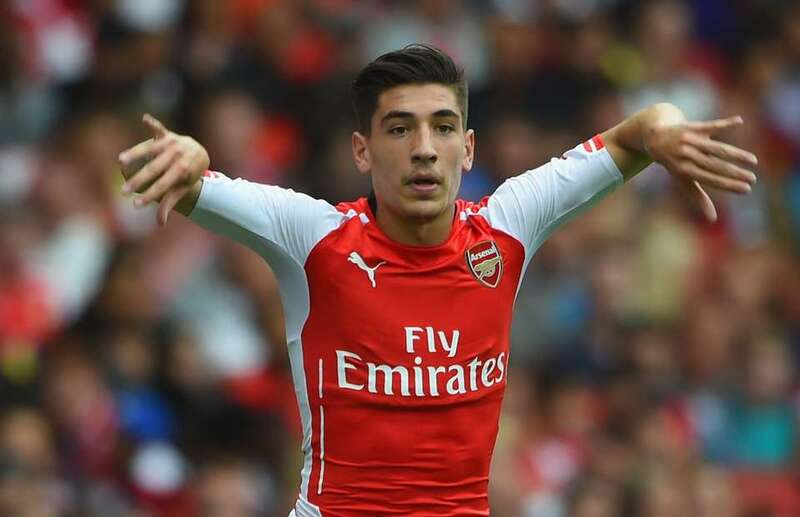 Bellerin started out as a winger, before being converted into a full-back at the Arsenal Academy. His technical skills are at a level higher than you would expect of a 19-year full-back. He is also reportedly the fastest player in the Arsenal squad, having eclipsed even Theo Walcott. He started the season as the third choice right-back but has swiftly moved ahead of Calum Chambers in the pecking order for the position. His performances against Newcastle and Manchester City have impressed the most, with him drawing praise for his tenacity and ability to join in the attack. His performances will give Wenger a selection headache when Debuchy returns from injury, and if he sustains this form, it'll be hard to make a case for Debuchy starting ahead of him. Just last season, Perez was a little known attacking midfielder in Spain. His exploits at Tenerife were beginning to raise eyebrows, but few above the second division knew of him. 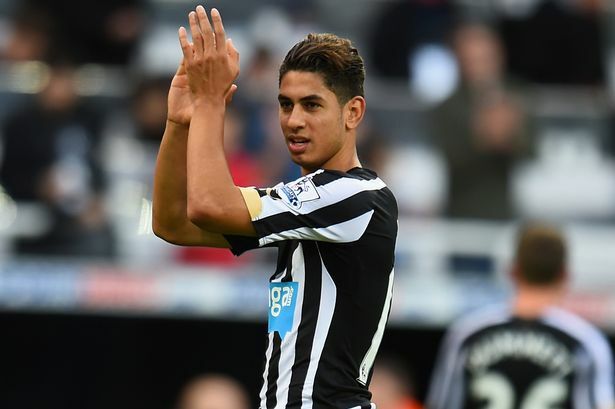 It was then surprising to see Newcastle pursue him so strongly, but their interest has definitely been justified now. Perez, this season, has featured primarily as a striker and has already scored 5 goals since his Premier League debut against Spurs on October 26. Ex-manager Alan Pardew has claimed that he can be one of the best strikers in England, going so far as to suggest that he has more natural talent than Carlos Tevez and Teddy Sheringham. He wouldn't have gotten into the first team if not for the injury suffered by Papiss Cisse, but judging by his displays, he might keep Cisse out for a while longer. Perez is characterized by his quick feet and pace, which have made him quite the headache for defenders to deal with. If his displays aren't alone an indication of his potential, he was reportedly also pursued by Real Madrid, Barcelona and Porto before Newcastle signed him. He claims that first team opportunity was an important part of his final decision and it indicates he has all the plans of making it big in 2015. The Southampton starlet has come leaps and bounds since his debut in 2012. Having been just a squad player then, he has now become an integral member of the squad. He has had an immense season so far, having provided six assists from the nine starts he’s made. The greatest part about all this is that he doesn't look like he’s even close to being the finished product, which tells you of his potential. 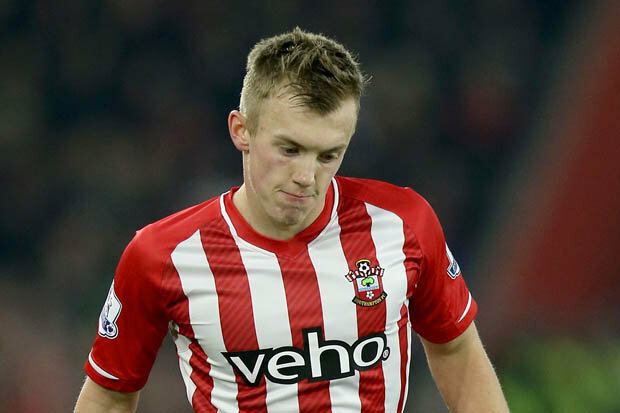 Ward-Prowse has all the makings of a future star. An exceptional distributor of the ball, he has made a habit of making key passes at every opportune moment while his set-piece delivery is already among the best in the league. He is also very good at holding the ball in the middle of the park and can slow down play when necessary. He has been instrumental in helping Southampton mount a challenge for the top four spots and has a very bright future ahead of him. The United youngster has emerged as an unlikely competition to Robin van Persie and Falcao this season. 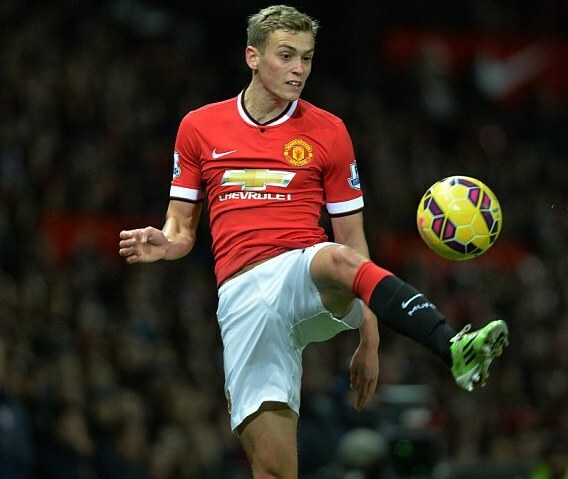 James Wilson made his debut for United at the end of last season, against Hull, where he scored two goals. He has continued his fine form this term and has looked dangerous every time he has been on the pitch, with his performances culminating in a goal against QPR. His form has been rewarded by manager, Louis van Gaal, and it shows in his confidence as well. Wilson has for long been touted as a future star ever since his early days at the academy. He is an exceptional striker and has made a mockery of defenses at youth levels with his incredible goal scoring prowess. From what we've seen of him so far, it looks like he is set to continue on this trajectory. Along with being a good finisher, he is also very quick and possesses great acceleration. His off the ball movement can also be a menace for the opposition defence. At 19, though not the complete product, he has shown enough to be successful in the immediate future. The Lyon striker has dazzled at every youth level there is, for both club and country, and is only awaiting a proper chance at the senior stage to explode onto the scene. 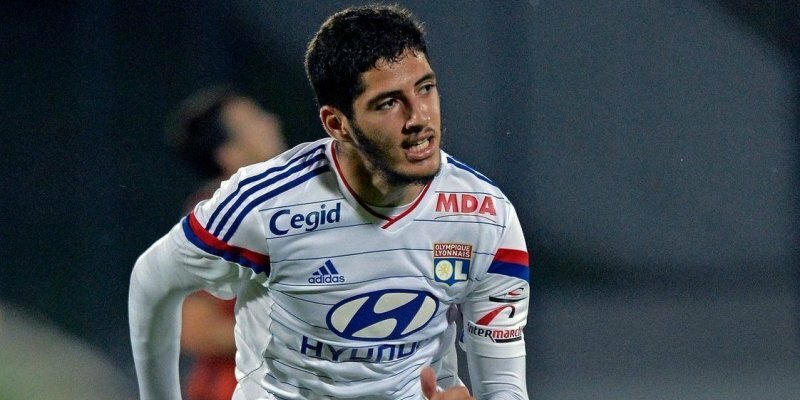 Benzia, 20, has been touted as France's next big striker after Benzema, and though his progress has been slow this season, his success is considered imminent. A pacy striker with the nous to make defenders dance, he has all the tools in his armoury to become a successful striker. He does lack in the physical strength department, but it is expected of someone so young. His route to the first team is currently being blocked by the goal-scoring performances of Lacazette which have propelled Lyon into the title race, but Benzia hasn't let up and has always performed when called upon. He has two goals from two starts this season and can be expected to start more games if and when Laccazette does suffer a loss of form. For now, he just has to wait patiently. 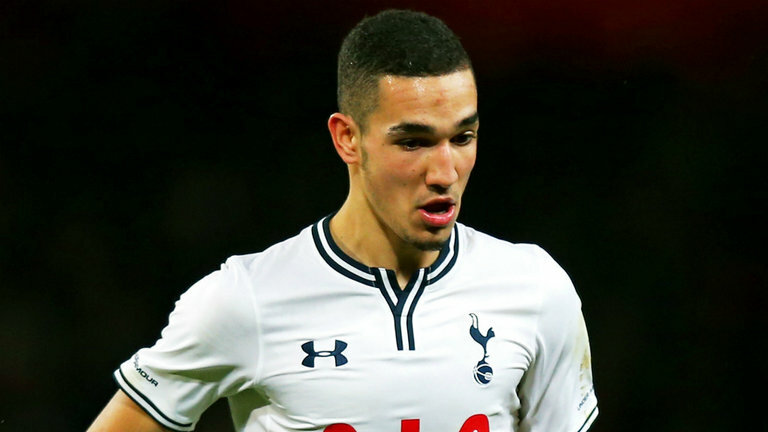 Bentaleb came out of nowhere as even Tottenham fans didn't know who he was last season, when he made his debut. He was given his first team opportunity by Tim Sherwood, who was criticized heavily for being naive enough to trust an unknown quantity on the biggest stage, but the naysayers have been proven wrong. Pochettino has shown just as much faith in the Algerian as did the previous manager. The Algerian has quickly become a first team regular and is considered one of the most important members of the team. His assured performances have made him a must in the center of midfield for Tottenham, so much that their win percentage goes down by half without him. The midfielder has made himself a beloved figure among the Spurs fans, but his consistency and constant improvement will ensure that he becomes a household name by 2015. Much has already been said about this young Croatian, but not many have had the pleasure of seeing him play to ascertain if he is as good as they say he is and if he is worth the money and effort Barcelona put to get him. The pint-sized midfielder is considered to be the heir to Messi's throne and showed glimpses of brilliance in his pre-season performances with the first team. He has since been farmed out to the B team to help him hone his skills for the top level, but it seems that he is already outgrowing his peers. 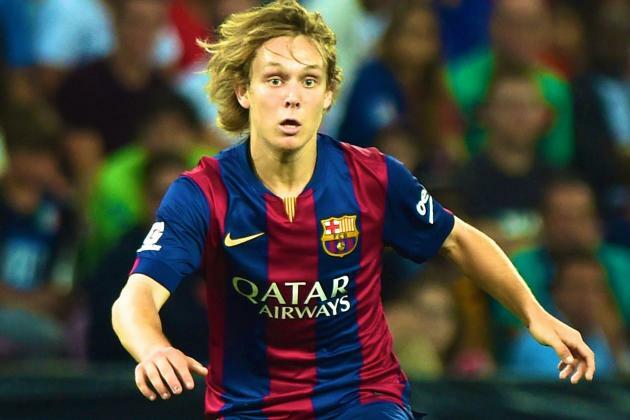 With Barcelona's tradition of giving chances to youngsters and their transfer ban now in effect, Halilovic can be assured of an extended run with the senior team. If the likes of Munir, Bojan and Pedro can garner enough love from the supporters, wait till this guy gets a proper run in the first team. At any other point in the last year and half, it would have been a disaster for Atletico if Miranda had gotten injured. This season, however, it has been sort of a blessing in disguise with the emergence of Jose Gimenez. The 19-year-old Uruguayan has slotted in seamlessly in the Atletico defense which is one of the, if not the best defense in club football right now. His partnership with compatriot Godin has been very composed with it seeming that both guys have been playing together for years, when in reality it was only formed towards the end of 2014. He is a very smart defender with an exceptional physical presence which holds him in good stead and helps him perform well against the best forwards in the league. While Miranda was expected to slot back into the team after his injury, it hasn't been so and he might have to sit out the remainder of the season as Gimenez goes about establishing himself as a mainstay in the team and one of the best in the league. Premier League: Who will finish in the top 4?